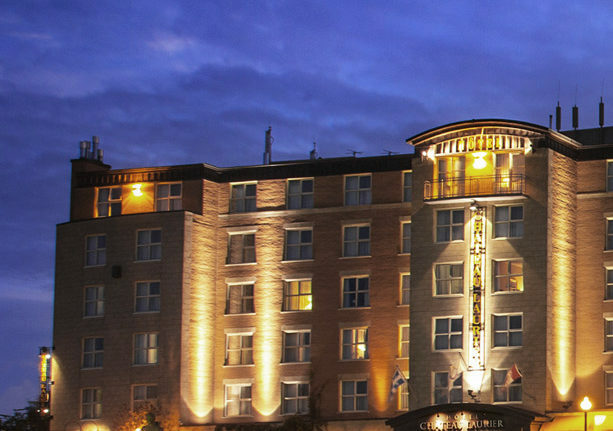 Hotel Chateau Laurier Quebec’s strong commitments and future-oriented vision reflect our values and identity. Hôtel Château Laurier Québec, a 3rd generation family business that, through the years has acquired expertise in the art of hospitality. Each team member is filled with pride of this know-how and will go beyond customers’ expectation. 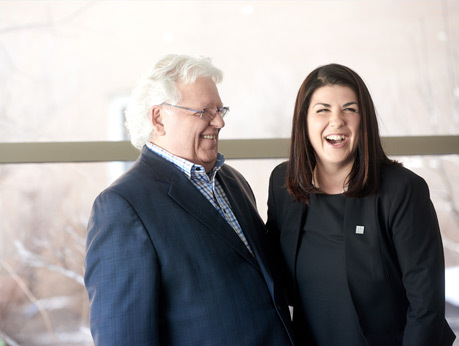 The fundamental values at Hotel Chateau Laurier Quebec are: collaboration, achievement, ethics and commitment. These values have for ultimate goal to guarantee excellence in every facet of our operations and deliver the highest possible level of customer satisfaction. 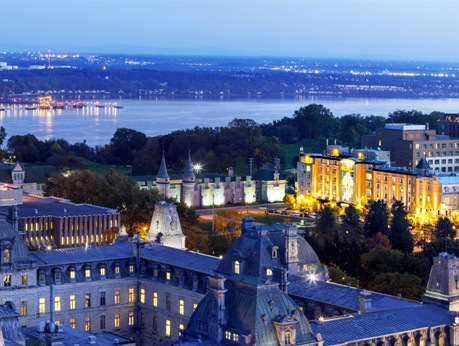 According to the architect’s plan Joseph-Ferdinand Peachy, it is in 1889 that the story of Hotel Chateau Laurier Quebec began, when Louis Bilodeau started the construction of common houses on Grande Allée Street. 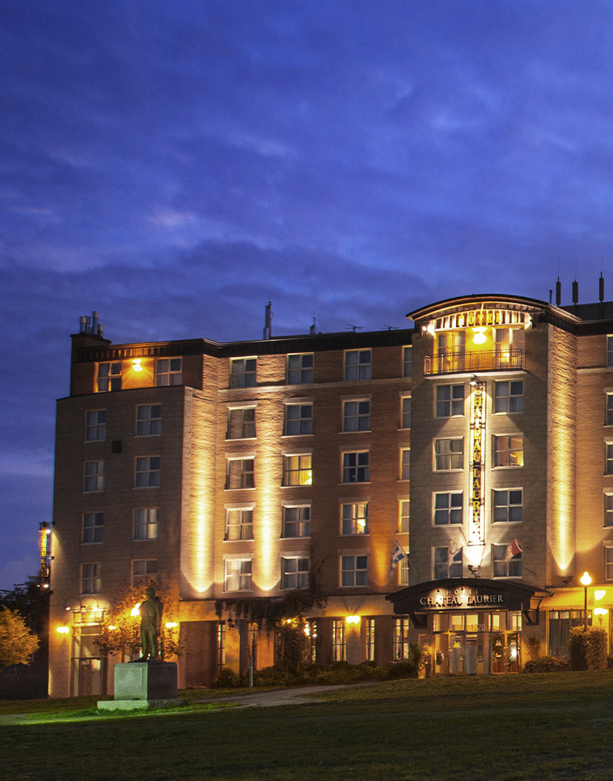 Afterwards, in 1947, Lucien Plamondon founded Hotel Chateau Laurier Quebec. 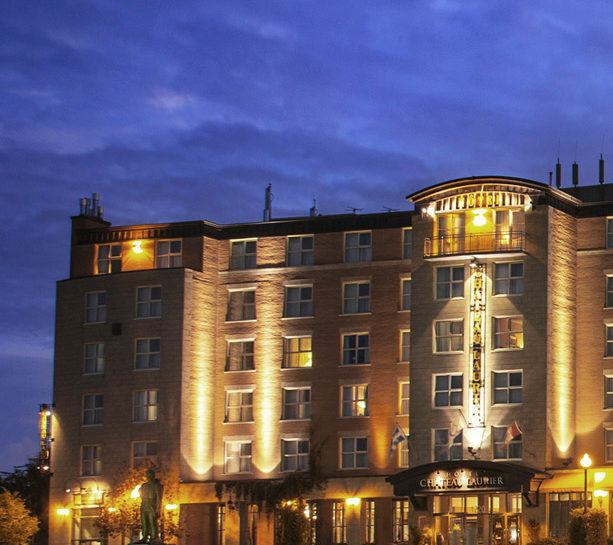 In 1975, when the large hotel chains were moving into the National Capital, a trend seemed to spell a slow death for the local neighborhood hotels. Robert Girard, with his expert eye for the real-estate business, makes a good deal in buying the building. He did not hesitate about putting long hours and the investment it would take to put his own stamp on the small hotel. He soon brought his 21-year-old son Alain, into this adventure, who would learn the hotel trade from the ground up, with enthusiasm and energy. Five years later, the Girard family purchased the Hotel Manoir Lafayette, just before they extended it in 1992. Since that moment, until 2001, the number of rooms got from 48 to 154, including the fusion of every establishments. The next year, the Cogires Group bought the property located on 650 Wilfrid-Laurier Avenue. 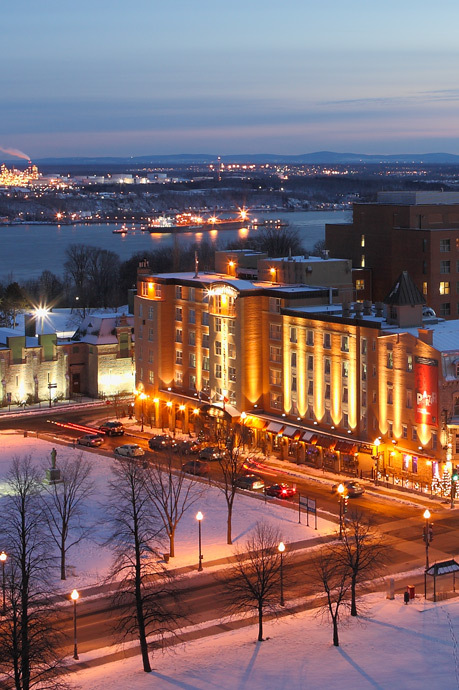 In 2019, the hotel joins the Ôrigine artisans hôteliers, the most important network of country inns and hotels in Québec! What makes Ôrigine artisans hôteliers unique is an unequalled formula that brings together superior quality accommodations that meet our values.